How Can I Help my Case During a Family Mediation Session? If you’re involved in a custody or visitation dispute in Family Court in the state of California, you will be meeting with a Mediator in Family Court Services Mediation. That is, unless you’re one of the more fortunate who can afford to pay for a private mediator. In either event, during family mediation preparation is everything. Your family mediation should be approached with the same deference that you would give to a court proceeding. Respect your mediator as you would respect a judge. Listen to your attorney, and speak only when your attorney instructs you to do so. Speak only on the subjects that you are asked to talk about. Let your family law attorney guide you through the proceeding. If you have a question or a suggestion, tell your attorney in private or write it down on paper and pass it to your attorney. Your mediator has the power to exert a lot of influence on the outcome of your case. Do not offend him or her. Yes, family mediation can be a stressful event for someone involved in a divorce, but it does not have to be. No matter what you do, stay calm in mediation, wait your turn to speak, and be polite. It will serve you well. One of the most frequent damage control calls I get is from a parent after this critical meeting with the Family Court Services Mediator. They had gone to the meeting righteously angry, resentful and unprepared, but believing that somehow justice would be done. Weeks later, the mediator publishes the report and it shocks and stings the parent. Or, sometimes, they didn’t understand the importance or the point of the meeting and things went south. What should I now before my custody proceeding? Wow, we could say it a lot about this. I have a short list of consultants that I like to use, especially in high conflict cases. There is a lot to be known about how to present one’s self in mediation. It’s important to know not just the basics, but to know what’s the etiquette when you get into family court services. How do you conduct yourself? What’s going to be important to the mediator? And, broadly speaking, what’s going to be important –not only to the mediator– but to the judge is: “which of the parents appears to be most child centered?” The most common mistake that I think that parents make in mediation is to go in with the idea that they are there to advocate for their rights as a parent. Nothing could be further from the truth. I’m sorry. Nobody cares about you. They care about your children. The judge is not going to get hung up on what’s fair to either of the parents, but the judge is certainly going to spend a lot of time focusing on what’s best for the child. So that’s a really really rudimentary introduction to how to prepare for a mediation. I think we could spend a good hour –probably longer than that– and often my clients will spend at least that much time with a psychologist or social worker who is a veteran of the system and that knows how the System Works. 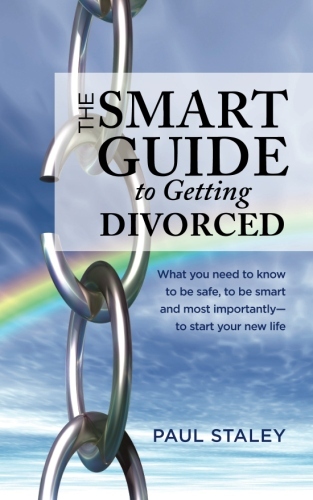 Previous post: What is a Divorce? How do I obtain a Divorce? Next post: How much power does a Family Court Judge have?